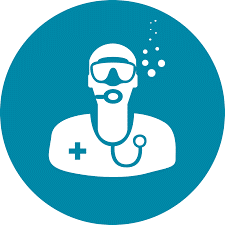 Ever considered a career in medicine and healthcare combined with diving? If you are interested the Isle of Man is a perfect location for you. We are currently recruiting the following vacant positions. Are you already registered with the GMC and looking for another field of medicine to add to your personal development and career? If you are there are training programmes you may like further details on along with course dates available in 2019. Please click the links below or contact us at the chamber. Do you have a time to spare and could spare a few hours per day or maybe coordinate a fundraising event then we would appreciate your help. Please contact the Facility & Operations Manager for more details on any of our vacancies or volunteering.